There was hope for the Memphis Tigers tonight, down only six points (28-22) with just under five minutes to play in the first half at Gonzaga. But then the third-ranked Bulldogs outscored their guests 15-2 over the next four minutes to create what amounted to an entire second half of garbage time. Przemek Karnowski (victim of the famous Joe Jackson block just less than a year ago) led the Zags with 17 points and Kyle Wiltjer added 15 to help Gonzaga (22-1) earn its 15th straight victory and 38th straight win at home. The Tigers fall to 13-8 with the loss. Down 18 at the half (43-25), the Tigers found themselves down 22 (63-41) midway through the second half before going on an 11-1 run. But the U of M never closed within 10 points down the stretch, making this the seventh of eight losses by double digits. Memphis took an astounding 74 shots (27 more than Gonzaga) but made only 26 (35 percent). They outrebounded the Zags (36-35), pulling down 16 offensive boards, and forced 14 turnovers. But the Tigers hit merely four of 16 shots from three-point range while Gonzaga was eight for 16 from long range. Austin Nichols (12) and Nick King (13) were the only Tigers to score in double figures. Shaq Goodwin started after missing most of the Tigers' previous game with a mild ankle injury but did not score. Trahson Burrell scored nine points and grabbed eight rebounds off the bench. Gonzaga made 22 of 33 free throws, compared with eight-of-fourteen shooting from the line by the Tigers. Memphis will play its final nonconference game of the season next Wednesday night when Jacksonville State visits FedExForum. Austin Nichols hit a 10-foot jump shot from the left baseline with 3.1 seconds left to play to give the Tigers a much-needed win over Tulane at the Smoothie King Center in New Orleans. After trailing most of the game, the Green Wave tied the score at 51 on a floater by Louis Dabney with 2:30 to play. Nichols hit a free throw, then an acrobatic tip off the backboard to give Memphis a 54-51 lead, only to see Jay Hook tie things with a three-pointer with just over a minute to play. Nichols and Dabney each hit one of two free throws to set up the sophomore Tiger's game-winning heroics. 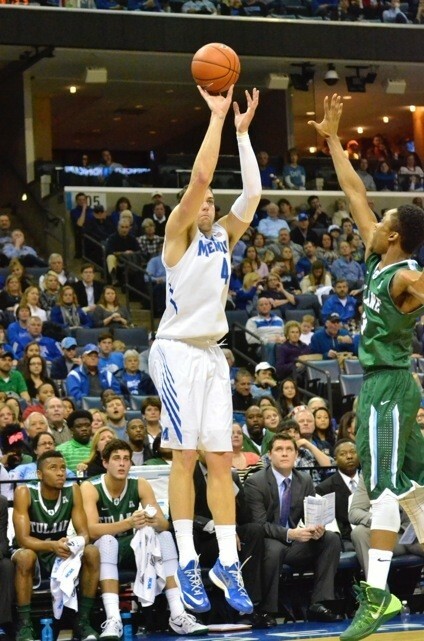 The win avenges a Tiger loss to Tulane three weeks ago at FedExForum. The U of M improves to 12-7 on the season and 5-3 in American Athletic Conference play while Tulane falls to 13-7 (4-4). The game is just the second for the Tigers this season to be decided by fewer than ten points. Memphis enjoyed runs of 12-0 and 7-0 (each keyed by Avery Woodson three-pointers) to take a 32-25 halftime lead. Freshman Markel Crawford had 11 points in the first half (including a thunderous dunk) on his way to a season-high 15 for the game. The Tiger lead grew to nine (49-40) midway through the second half before Tulane began scratching its way back. Hook led the way for the Green Wave with 13 points, while Dabney and Jonathan Stark added 10 each. Nichols led the Tigers with 17 points and nine rebounds. The Tigers shot 43 percent for the game and held the Green Wave to 35 percent. The teams combined for 33 turnovers and only 18 assists in front of a near-empty arena normally packed for games featuring the NBA's New Orleans Pelicans. The Tigers will return to action Wednesday night when they host East Carolina at FedExForum. In a season Josh Pastner likes to compare with peaks and valleys, the coach's team may have hit rock bottom tonight in Tulsa, Oklahoma. Entering the game on a three-game winning streak, Memphis took a 9-5 lead over eight minutes of sloppy play, then surrendered the lead for good when Tulsa went on an 11-2 run midway through the first half. Down just seven (30-23) at halftime, the Tigers were declawed over the first nine minutes of the second half. They needed a 14-0 run to merely cut the Golden Hurricane lead in half (to 56-42). For the 17th time in 18 games played by the U of M, the final scoring margin was in double figures. This team does not play close games. Tulsa was led by its dynamic backcourt duo of James Woodard (16 points) and Shaquille Harrison (18 points, 10 rebounds). The 2014 Conference USA champions are now 6-0 as new members of the American Athletic Conference and 13-5 overall. 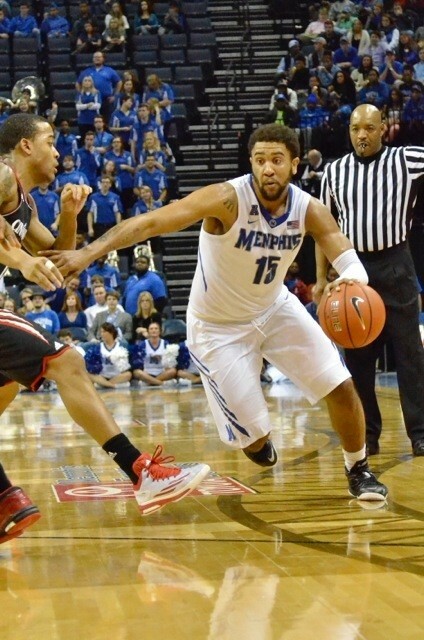 Meanwhile Memphis falls into the AAC's second tier with a conference mark of 4-3 (11-7 overall). The Golden Hurricane extended its winning streak to eight games and ended a 10-game winning streak for the Tigers in Tulsa. Avery Woodson led the Tigers with 15 points and Austin Nichols added 12. No other Memphis player scored more than six. The Tigers gave up 25 offensive rebounds and committed 16 turnovers which contributed to Tulsa taking 65 shots in 40 minutes. Rarely will you see a team blown out by 18 points when it shoots a higher percentage from the field (43 percent) than its opponent (39 percent). Tulsa also missed 13 of 34 free throws. The Tigers will next travel to New Orleans to face Tulane Saturday. The Green Wave beat Memphis at FedExForum on January 3rd. Tiger Attendance: Reason to Worry? I don’t worry about Josh Pastner. The Tiger coach is young, healthy, ambitious, and certainly well-paid for his work in the city’s brightest spotlight. To borrow from Pastner's current expression of choice, basketball coaches endure seasons with "valleys." Better days are ahead for him. But I do worry about malaise in the Tiger basketball fan base. Even worse, disinterest. It’s one thing for your team of choice to be bad, and quite another for it to be . . . uninteresting. Judging by the most empty seats I’ve seen at FedExForum in years, there are lots of Tiger fans not all that fired up by the 2014-15 club. • The Tigers have averaged 13,702 in attendance this season, down from 16,121 last season. [NOTE: For the purposes of this column, we’re going with the tickets-sold figure announced at each game.] That’s a drop of 15 percent from last season. Either Joe Jackson was a lot more popular than I thought, or the community perception of the Tigers has changed for the worse. • When the Tigers hosted Cincinnati last year (January 4th), 17,191 tickets were sold for the renewal of a longtime rivalry. The Bearcats beat the Tigers by 16 points that Saturday afternoon. Last Thursday, only 14,916 tickets were sold for the same opponent. A 6 p.m. tip-off, no weather issues, and a 13-percent drop in ticket sales for what turned out to be a 13-point Memphis win. • According to university officials, the Tigers have sold 13,856 season tickets this season. So, factoring in single-game purchases, when announced attendance is, say, 12,995 (as it was for the Western Illinois game on December 23rd), it means thousands of people are not going to a Tiger game . . . despite owning a ticket. • Last season, the Tigers sold more than 18,000 tickets to five home games: UConn, Gonzaga, Temple, Louisville, and SMU. (The Huskies, Owls, and Mustangs will visit FedExForum again this season and should help improve the attendance numbers.) 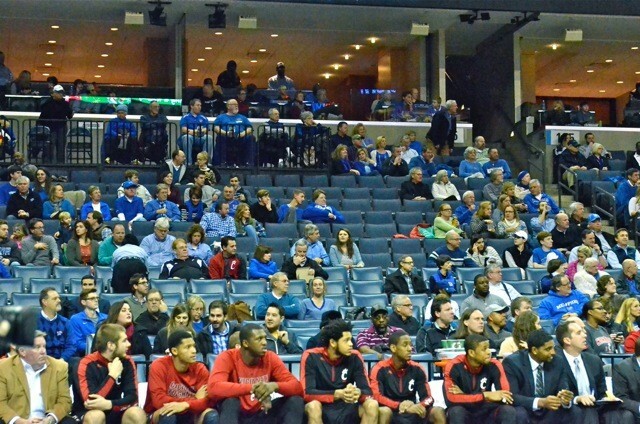 This season, the most popular game was that Cincinnati contest with ticket sales just shy of 15,000. 1) Too much of a good thing (or mediocre thing?). The Tigers played nine home games over 33 days from December 2nd to January 3rd. Only the most passionate (and, perhaps, unattached) Tiger fans attended all nine of those games during holiday season. And I salute every one of you. 2) Directional delusion. Generally speaking, if a college basketball team has a geographic component to its name, it will not be highlighted on the schedules fans tape to their fridges. Among the Tiger foes to visit Memphis last month we saw “central,” “western,” and even “upstate.” The Tigers are undefeated against directional teams this season . . . and no fan really cares. 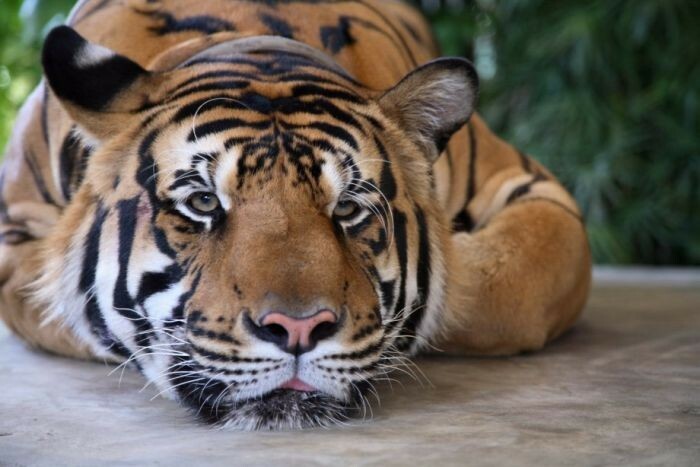 The Tigers have only six more home games. Their chances at an NCAA tournament berth seem slim at best. How much energy will be felt at FedExForum if the Tigers are viewed as merely developing players for next season? Winning games, of course, fills arena seats. And you can be sure Josh Pastner is spending any free time he might find brainstorming ways to win more than he has in his sixth season at the Tiger helm. A win at Tulsa this week would be big. A win at third-ranked Gonzaga on January 31st would change everything. But his program is in need of a ticket-selling infusion of vitality. If that doesn’t come soon, Pastner and those still attending Tiger games will have reason to worry. The Tigers earned their first victory of 2015 — and ended a two-game losing streak — with a lopsided win over Houston at Hofheinz Pavilion this afternoon. Led by sophomore Austin Nichols (16 points and 8 rebounds), the U of M improved to 9-6 on the season and evened its record at 2-2 in American Athletic Conference play. The Cougars, meanwhile, fell to 7-8 (0-4), losing to the Tigers for the second time in less than two weeks. Nichols reached double figures in scoring for the ninth consecutive game. Memphis enjoyed an 11-0 run to take an early 11-3 lead, only to watch the Cougars go on a 12-2 tear. Kedren Johnson and Trahson Burrell (the latter back in action after a one-game suspension) hit back-to-back jumpers to give the Tigers a 25-19 lead with 2:25 to play in the first half, and the Cougars trailed the rest of the game. 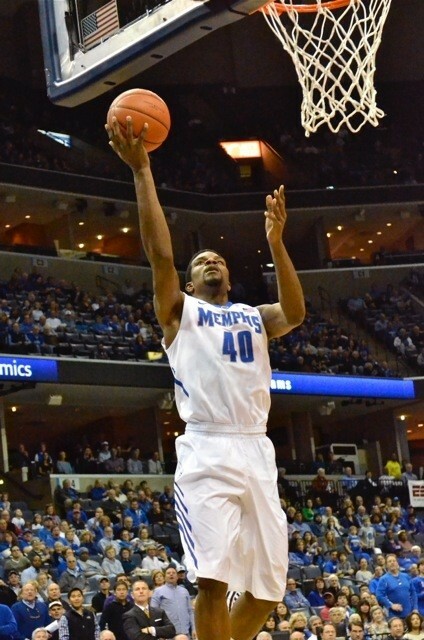 A 13-0 Memphis run midway through the second half gave the Tigers a 47-30 lead. The final margin of 18 points makes this the 14th out of 15 Tiger games this season decided by at least 10 points. And it's the Tigers' first win of the 2014-15 campaign on an opponent's floor. Markel Crawford started for the Tigers and scored 12 points. Johnson came off the bench for some rare playing time and contributed 10 points and four assists. Calvin Godfrey started for the first time this season, while Shaq Goodwin came off the bench (8 points, 5 rebounds). Sophomore forward Nick King returned to action after missing three games with an ankle injury. The Tigers held the free-shooting Cougars to 25 percent from beyond the three-point arc and 34 percent overall. The U of M had 16 assists against 13 turnovers and outrebounded Houston, 35-31. Memphis returns to FedExForum next Thursday night for a 6 pm tilt with Cincinnati. 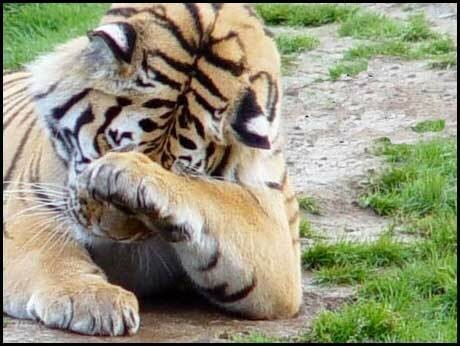 An undermanned Tiger team was thoroughly declawed tonight at Moody Coliseum in Dallas, an arena where they've now lost four of their last five games. Markus Kennedy came off the Mustang bench to lead all scorers with 21 points. Yanick Moreira (15), Ben Moore (12), and Keith Frazier (12) also reached double figures on the scoreboard for SMU, which improved to 11-4 with the victory. The loss drops Memphis to 8-6 for the season, and 1-2 in American Athletic Conference play. The Tigers hadn't been under .500 in league play since the 2003-04 season when they opened 0-2 in Conference USA. The Tigers were missing three rotation players. Nick King (ankle injury) and Kuran Iverson (he of the now-notorious Twitter feed) did not make the trip, and junior forward Trahson Burrell never got off the Memphis bench (presumably having violated a team rule). The Mustangs dominated the first half, shooting 50 percent (14 for 28) while holding the Tigers to 34 percent (9 for 26). Back-to-back three-pointers from Avery Woodson and Markel Crawford closed the SMU lead to seven (28-21), but the Mustangs scored the last six points of the half. An 11-0 Tiger run closed the deficit from 18 points to seven in the second half, but Memphis never got closer, trailing by double digits the last ten minutes of the game. SMU pulled down more offensive rebounds (17) than the Tigers had on their defensive end (16). Overall, the Mustangs dominated the glass, 42-24. The Tigers actually had their second-lowest turnover total of the season, only 10 (with 11 assists). 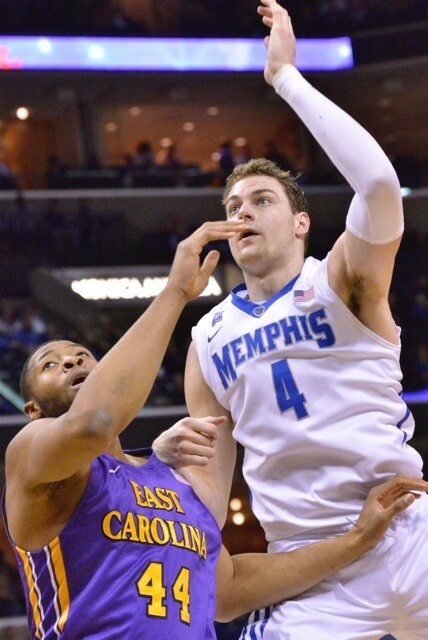 Austin Nichols led the Tigers with 11 points, his eighth straight game in double figures. D'Marnier Cunningham came off the bench and scored a season-high 10. Junior forward Shaq Goodwin was held in check (five points and three rebounds). Earning a rare start, Chris Hawkins added nine points and a team-leading seven rebounds. Memphis travels to Houston next, where the Cougars await Sunday afternoon. The Tigers beat Houston on New Year's Eve at FedExForum.